Spacious room at convenient location with in-house restaurant. 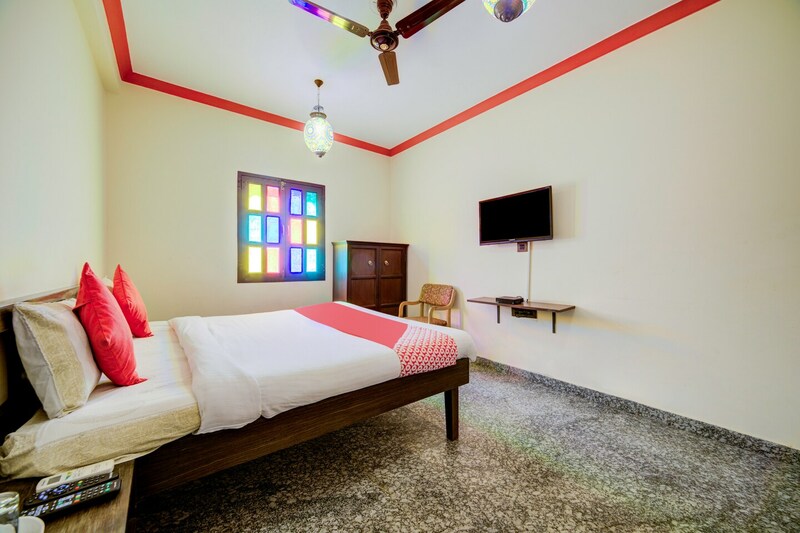 A wonderful piece of property situated in Jaipur, Hotel Amer Haveli offers some amazing rooms within a pocket-friendly price range. The rooms have been elegantly decorated and are well-furnished. Large windows with tinted glasses have been provided in each room to allow the guests some fresh air and bright sunlight. The additional facilities provided by the hotel are free wifi, a common kitchen area, a mini-fridge and a room heater in each room, and card payment in all forms. There is a common restaurant and bar which can also be used by the guests. The front desk service can be easily located and is handled by hospitable staff.